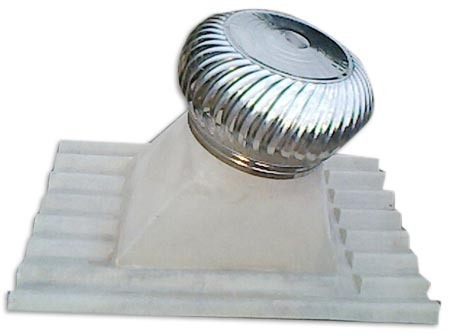 Riding on unfathomable volumes of industrial expertise, we are engaged in offering an excellent assortment of Turbo Air Ventilator With FRP Hood. Established in the year 1998, at Vadodara (Gujarat, India), we “Trimurti Engineering Services” are a well-known manufacturer, exporter and trader of a superior quality range of FRP Product, Stainless Steel Products and MS Products. These products are precisely designed and manufactured in total accordance with the set industry parameters making use of high-grade raw material and advance technology. As per the specific needs of our precious clients, we offer these products in assorted specifications. Offered products are highly demanded their assorted characteristics such as perfect finish, sturdy construction, rust resistant, reliability and durable finish standards. Our cherished clients can avail these products from us at very nominal rates.